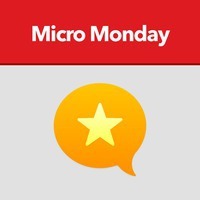 Chris Wilson joins us on Micro Monday. He lives in Kraków, Poland, and works for an ad technology company, but he is originally from London, where he graduated with a degree in Politics. We talk about how his blog has evolved throughout this journey, which included teaching English in several countries, and how his podcast dreams are deferred while his infant daughter makes predictable quiet time a challenge.